Mobile devices are a driving force in the development of CRM SaaS systems, providing essential business functions despite being away from the office. The transition from the office to the field is essential in order to be a competitive service provider. But what exactly are the most important features of a Mobile CRM SaaS. Here is what everyone is saying about what it takes to be a stand out CRM provider for mobile devices and what it will clients can hope to gain from it. With cloud capabilities allowing instant synchronization, the biggest complaint from users is not enough focus on developing and maintaining mobile software due to a divide of resources from IT developers focusing on both mobile and non-mobile devices. First, users are requesting consistency, it is important to have between the office functions and mobile device. The typical user desires a streamlined system that offers the same capabilities no matter what type of device the client accesses the information. This access to customer information onsite will help propel deals to the next level. More specifically in an article on CRMsearch, Karen Schwartz explains specifically how clients are looking to benefit from Mobile CRM. Fortunately Equity Touch has done just that all the same features from your desktop accessible on mobile devices so that the application can be accessed from any web-enabled device. Equity Touch currently support iPhones, Blackberry, Android, Android tablets, iPad. 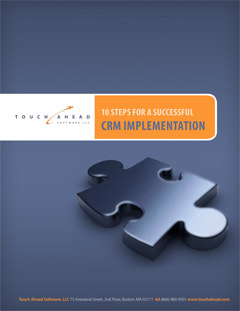 This entry was posted in Blog and tagged cloud, CRM, EquityTouch, mobile, SaaS. Bookmark the permalink.